The name EB Equipment is synonymous with specialized design, development and quality manufacture of a complete range of bulk storage and conveying systems. Over 40 years experience within the industry, dedicated to understanding and interpreting the customers needs, have enabled EB to promote storage and conveying systems which are innovative, durable, cost effective and above all reliable. Getting the product right from the start and ensuring customer satisfaction is paramount to EB Equipment. Automated materials conveying has long been an EB specialism, with more than 50 years experience in the design, manufacture and installation of conveyors throughout the world. 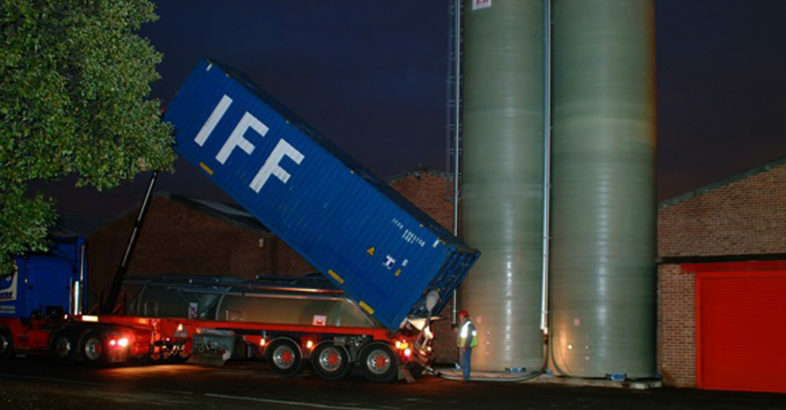 Having manufactured steel silos from the early 1960s, EB were the first in the UK to develop the production of silos in GRP (glass reinforced plastic) and have continued to lead the field ever since, developing their own unique process to produce the only UK GRP silo, which is mono-piece cone and body, totally seamless, totally watertight. Seeing the enormous benefits of the seamless construction of GRP for materials storage in so many industries, EB began intensive research and trial at an early stage and were in commercial production by 1990. Continuing investment and research has resulted in one of the most advanced silo and tank production facilities across Europe. The emphasis on quality was founding strength of EB and the company worked to and maintained, international quality standards long before the official audit and award of ISO 9001. The Company has also gained the ultimate recognition for an outstanding health, safety and environmental record, achieving the British Safety Council 5 Star Award and the coveted Sword of Honour awarded to only 40 companies worldwide. A family run, Yorkshire based firm, EB have a large single-site, 4-hectare operation, with full in-house design and 5500 sq metre manufacturing facility. New designs are CAD originated in the EB drawing office, with any potential problems being designed-out at source. The latest manufacturing technology, combined with EB’s people skill established over many years, results in a totally British make quality product built to last. Today a GRP silo or tank is not only an alternative, but the “first” choice in many storage situations.